This article by Maria Godoy appeared in the NPR site. Our thanks to Peter Jordens for bringing this item to our attention. This Christmas Eve, many Latinos will celebrate the holiday by unwrapping delicious little presents: tamales. At its essence, a tamale consists of masa (dough made from corn or another starch) that’s been wrapped in aromatic leaves, then steamed or boiled. Some come bundled in corn husks, others in plantain, banana or mashan leaves. Some are sweetened with molasses or coconut milk, others spiced with mole or seasoned with achiote. Some are plain; others are filled with meat, cheese or vegetables. Indeed, Latin America has hundreds of interpretations of the tamal (that’s the Spanish singular, though Americans often say tamale). Tamales vary not just by country but often by region. In Mexico alone, “we have over 200 tamales,” says Iliana de la Vega, a chef originally from Mexico City who ran an acclaimed restaurant in Oaxaca for many years before relocating to Austin, Texas. But which version is best? “Do you want me to get in trouble with my wife? Is that what you’re looking for?” asks Luis Clemens, NPR’s senior editor for diversity. Clemens, you see, is Cuban-American — and Cubans like their tamales with bits of pork mixed into the masa. His wife is Mexican — she favors the banana-leaf-wrapped, chili-and-chocolate-mole tamales of Oaxaca. In the interest of preserving their marital bliss, I drop the question. 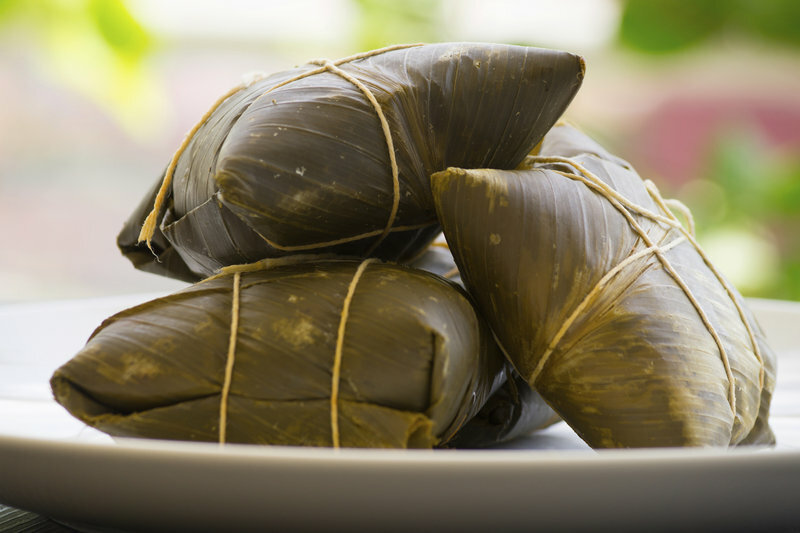 The word tamal comes to us from the Aztecs, who already had myriad interpretations of the leaf-wrapped parcels when the Spanish arrived, culinary historian Maricel Presilla writes in Gran Cocina Latina. Some were stuffed with beans and chiles, others filled with “elaborate mixtures of meat, fish, turkey,” worms, seeds or cherries, she says. “So prized were tamales that they were considered food for the gods,” she writes. Aztec women, Presilla says, spent days making tamales for wedding feasts. And preparing them is still a grand production. Often friends and families will gather fortamaladas, organizing themselves into efficient assembly lines to move the bundles along. All that work helps explain why, in many Latin countries, they’ve long been a treat synonymous with the holidays and other special occasions when people gather. “For me, tamales have to be like my grandmother made them,” says Felix Contreras, a Mexican-American arts desk producer and co-host of NPR’s AltLatino. Pork tamales are assembled before they are steamed. Tamale-making is labor intensive, one reason why the bundles of masa tend to be reserved for special occasions. Contreras, like many Latinos, is unabashedly devoted to the taste he grew up with: a spicy pork recipe with roots in the Southwest. Many years ago, I briefly considered breaking off relations with a dear Mexican-American friend after she dismissed the bite of Guatemalan-style tamale I offered her with a sour grimace. Perhaps she hadn’t realized that we Guatemalans put our tamales on a green-leaf-lined pedestal. Puerto Ricans boast of pastelitos, and Venezuelans hail hallacas — whose golden hue, Presilla writes, is achieved with the help of lard or oil infused with achiote. My Colombian mother has a constant hankering for the bollos of her coastal Caribbean hometown. Guatemalan tamales, too, come in many variations. But the archetypal Guatemalan tamale — the kind I crave this time of year — is made with creamy smooth masa that’s cooked prior to boiling, and stuffed with chicken or pork in a red tomato sauce, with bell peppers, olives and capers. Each is savored slowly for the true luxury that it is — scooping more than one tamale onto your plate at a time is considered bad form. The taste is amazing — but it’s also quite a departure from that of the Mexican-style, corn-husk-wrapped concoctions that are encountered most frequently in the U.S. Which is why I decided to forgive my friend for her disregard for the Guatemalan style. After all, taste preferences are formed early, and in this country, it is Mexican tamales that have the broadest and deepest roots. This Christmas Eve, my sisters and I will feast on tamales prepared by a Guatemalan immigrant who makes them for us in the suburbs of Washington, D.C. None of us have time — or frankly, the know-how — to craft the savory versions that remind us of our childhood in Guatemala City, so we’ve sought out those who can recreate the taste of home. 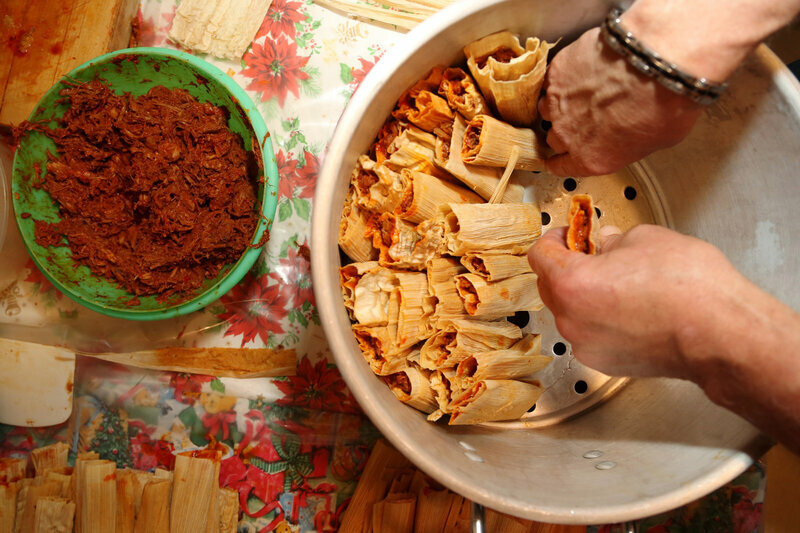 Because ultimately there are ingredients universal to every tamale: tradition and memory.